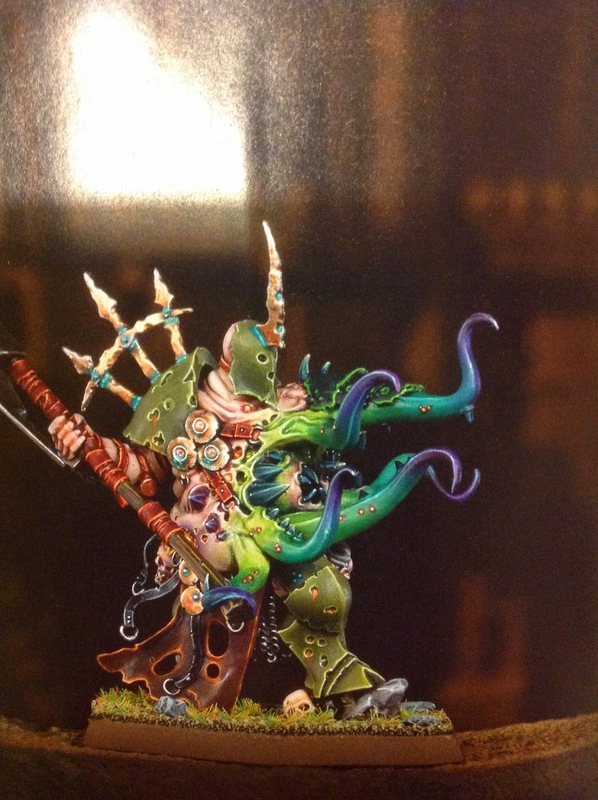 Games Workshop has had some photos leaked of the next Nurgle minis they'll be coming out with, including a new Champion. 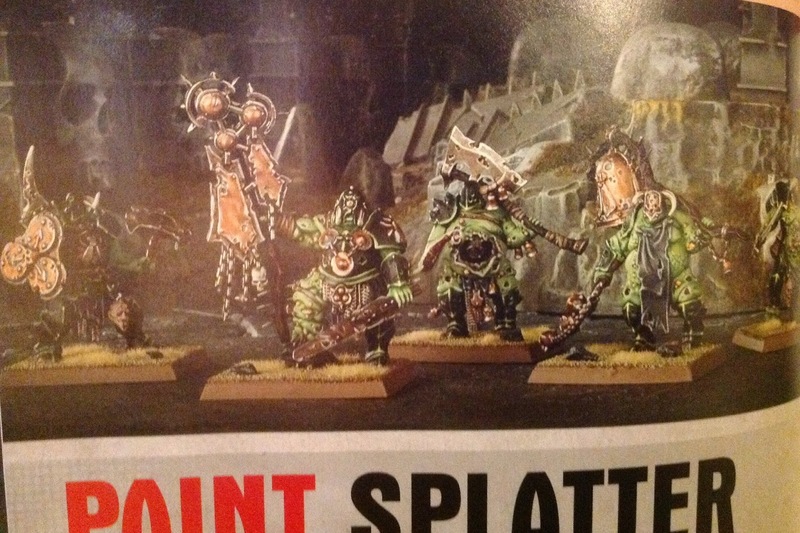 The user Shala GW Tilea is proving to be a really good person, as it provided more pictures that show the enormity of bitz included in the kit of the King of Contagion, but not only, because there are also pictures of the new character Gutrot Spume . In the rules, have the option to be put on War Altar, in fact, you can see it with this option in the first image. 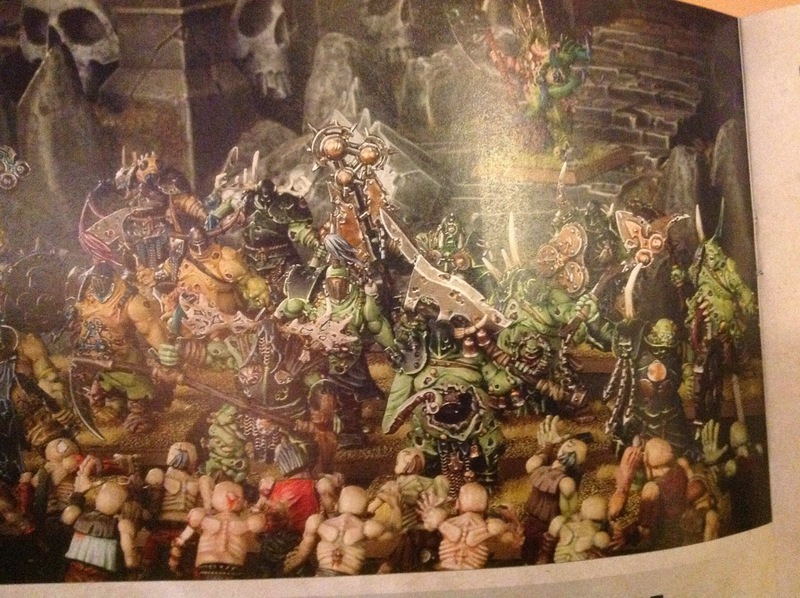 In addition to images, Lords of War Gaming has revealed new information about the upcoming releases of 40k, which, listen, listen, speak ance of new models Tyranids.